There have been substantial advancements in 3D printing technology. With every passing year, this tech becomes more and more promising, offering substantial benefits in a variety of different fields. Recently, Dutch technology company MX3D unveiled the world’s largest 3D-printed bridge. 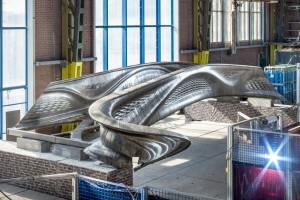 This 12-meter-long stainless steel bridge is composed of 4,500 kilograms (9,921 lbs.) of stainless steel and about 1,100 kilometers (684 miles) of wire. To build it, the company used four of its MX3D-Metal robots. 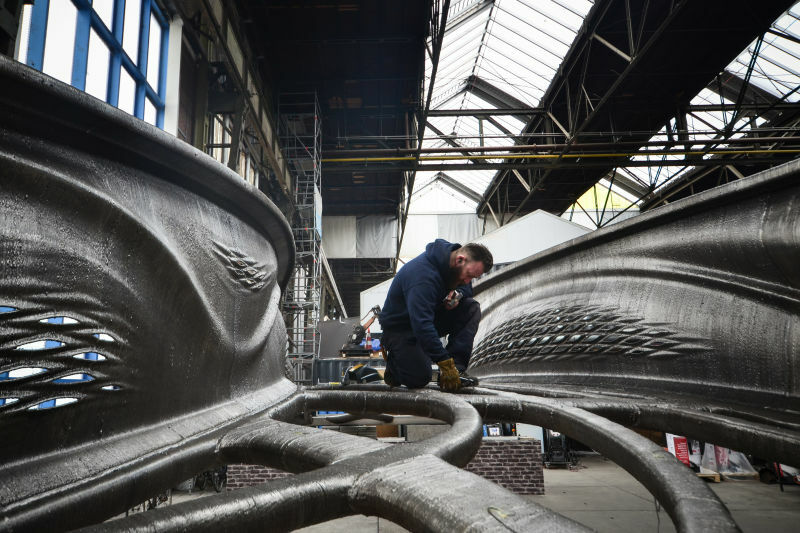 The bridge, which is also the world’s largest 3D-printed metal structure, took six months to print. The bridge is set to be placed over the historic canal in Amsterdam. It will not only help pedestrians and cyclists to cross over the water but will also serve as a “living laboratory.” Sensors will be fitted in the bridge for reporting data such as strain, displacement, and vibration, as well as environmental factors, to monitor the bridge’s health. So far, load testing to verify the structural integrity of the 3D-printed bridge has been positive. Testing on the bridge will continue to ensure that it can withstand the full design loading it is expected to experience when it is finally opened to the public in 2019.